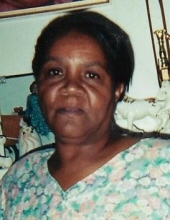 Mrs. Patricia A. Harris, 69, of Chase City, VA entered eternal rest Friday, January 25, 2019 at CJW/Chippenham Medical Center, Richmond, VA.
Mrs. Harris was born in Mecklenburg County, VA September 12, 1949 to the late James Clay and Elanita Brounson. She attended the schools of Mecklenburg County, VA and was previously employed by Russell Stover Candies for 17 years, and later by Alcan Packaging of Chase City for nine years. In addition to her parents, Mrs. Harris was preceded in death by her husband, Woodrow L. Harris. Cherishing her memories are her sons, James Wilson (Niecey) of Roxboro, NC, and Marvin Wilson (Nancy) and Willie Hilliard (Sharraine) all of Danville, VA ; daughters, Annette Osborne (Matthew) of Boydton, VA and Lethera Dokes (Robert) of Chase City, VA; 14 grandchildren, five great-grandchildren; step-father, James Skipwith of Clarksville, VA; three sisters, Odene H. Smith and Darlene Hilliard both of Clarksville, VA and Madeline Spencer (Richard) of Henderson, NC; two sisters-in-law, Marie Redd and Mary Shields both of Clarksville, VA, and a vast number of other loving relatives and caring friends. Funeral services for Mrs. Patricia A. Harris will be conducted 1:00 P.M. Thursday, January 31, 2019 at the chapel of Giles-Harris Funeral Home, Chase City, VA with Rev. Tywanda M. Jefferson delivering the eulogy. Interment will be private. Public viewing for family and friends will begin on Thursday from 10:00 A.M. until service time. To plant a tree in memory of Patricia A. Harris, please visit our Tribute Store. "Email Address" would like to share the life celebration of Patricia A. Harris. Click on the "link" to go to share a favorite memory or leave a condolence message for the family.